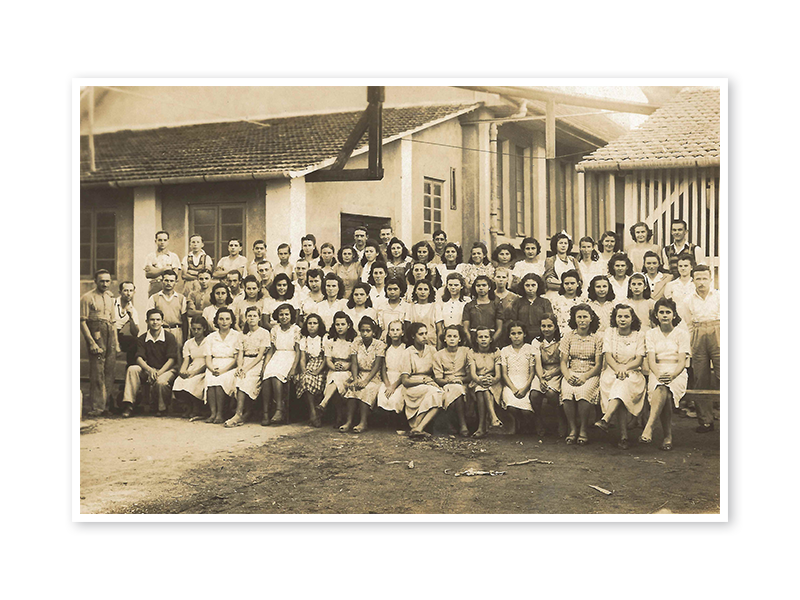 In 1938 Mr. Leopoldo Jorge Theodoro Schmalz started working toward his dream of producing yarn for handicraft. 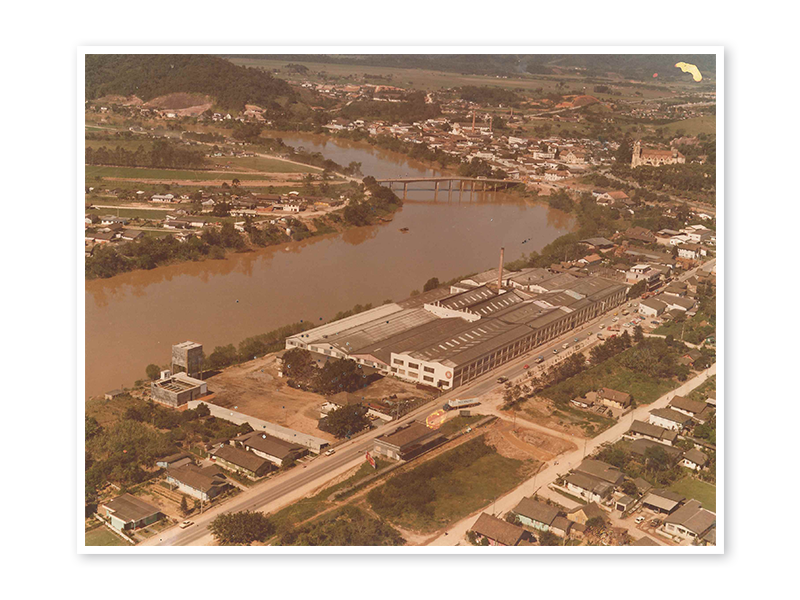 Today, Círculo is one of the biggest textile industries of Brasil. 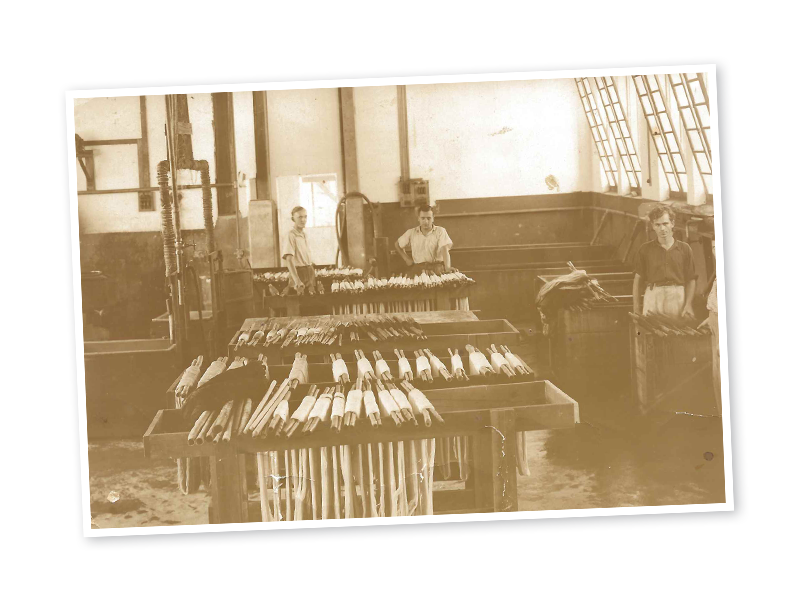 Since then, the company captivates the country by offering great quality products, produced respecting the trends of the market. 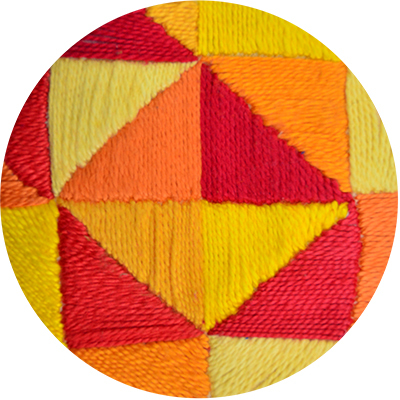 Círculo seeks, by each launch, innovation and modernity through distinctive colors and textures, also keeping the tradition and the care with the quality of the raw material. 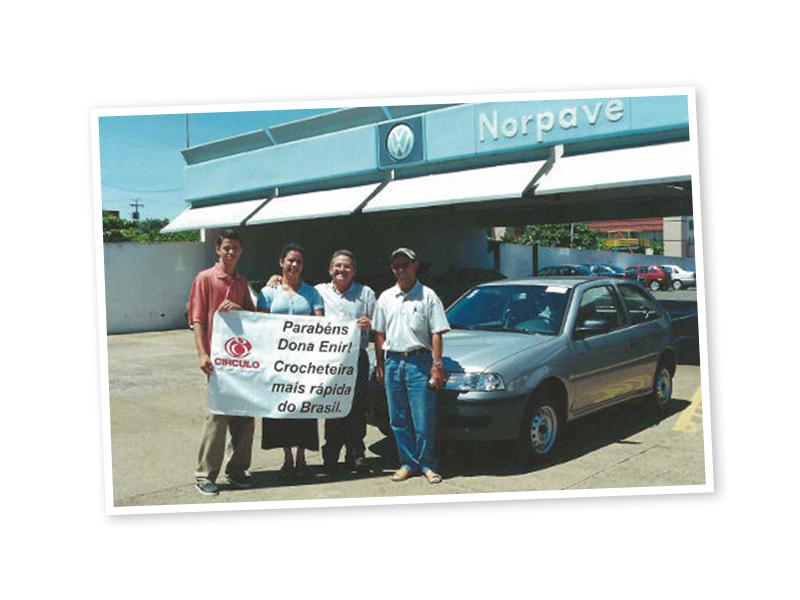 Our goal is to offer the best products and the best service to our thousand customers, in Brasil and abroad. 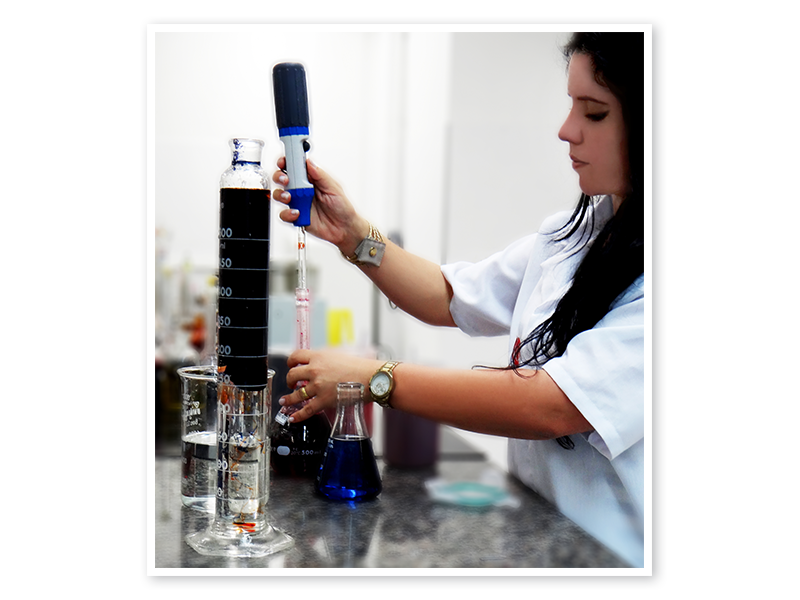 We attract customers through our quality control that starts in the moment that our industry receives the raw material to the moment that the products are send to the customers. Our development is the result of an advanced vision and willingness to win. 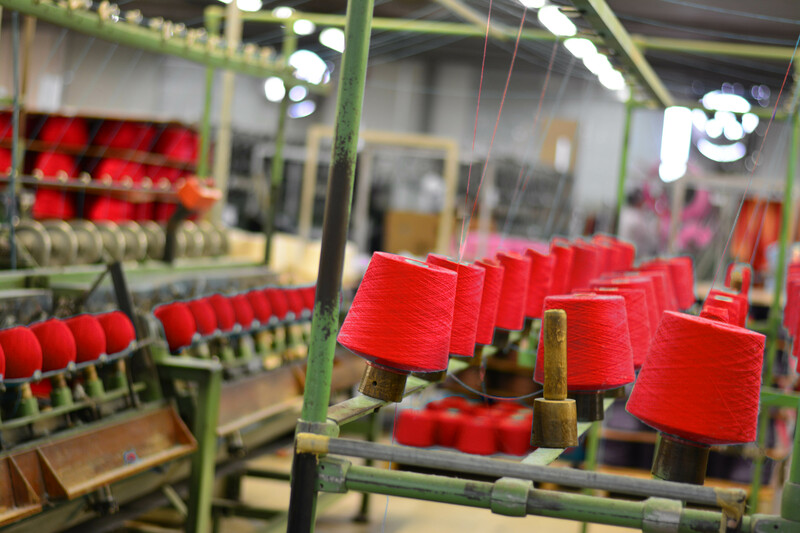 Those qualities make us stand out among the main yarn suppliers for fashion and decoration, providing satisfaction, beauty, leisure and a source of income. 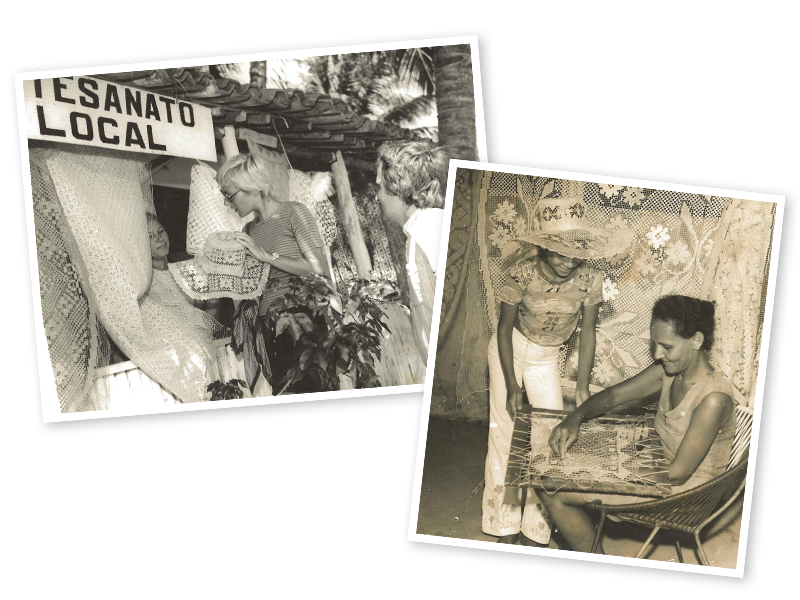 We always seek the latest trends in the worldwide handicraft and adapt to the Brazilian market. 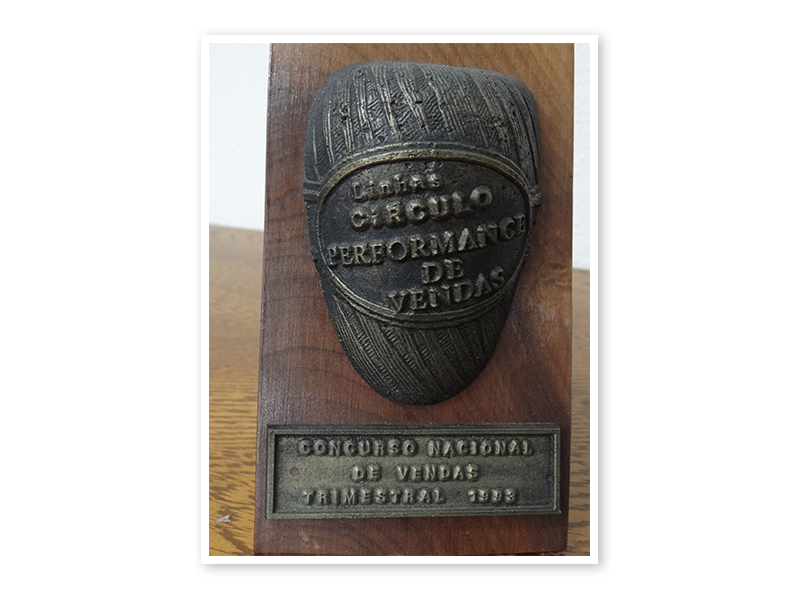 This frequent improvement made us a respected and reputable company in the national and international scene. 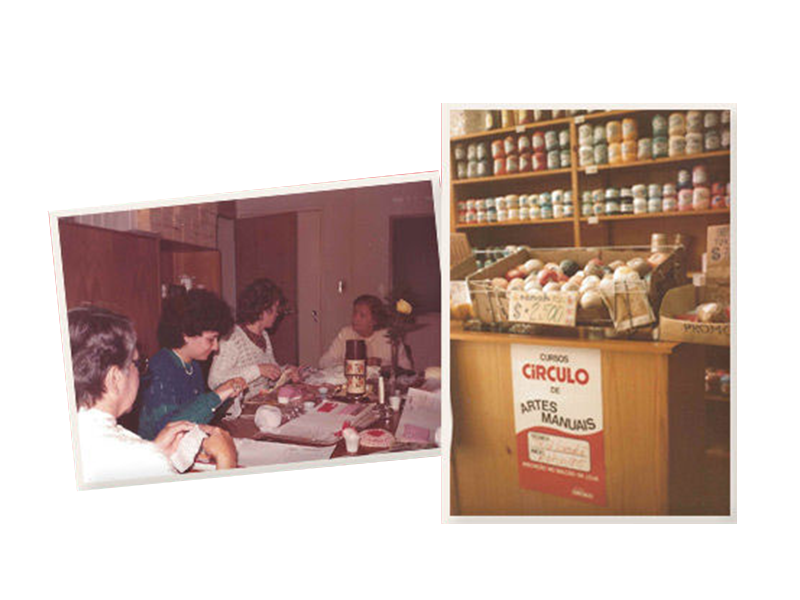 Círculo is committed to create more environmentally sustainable products. 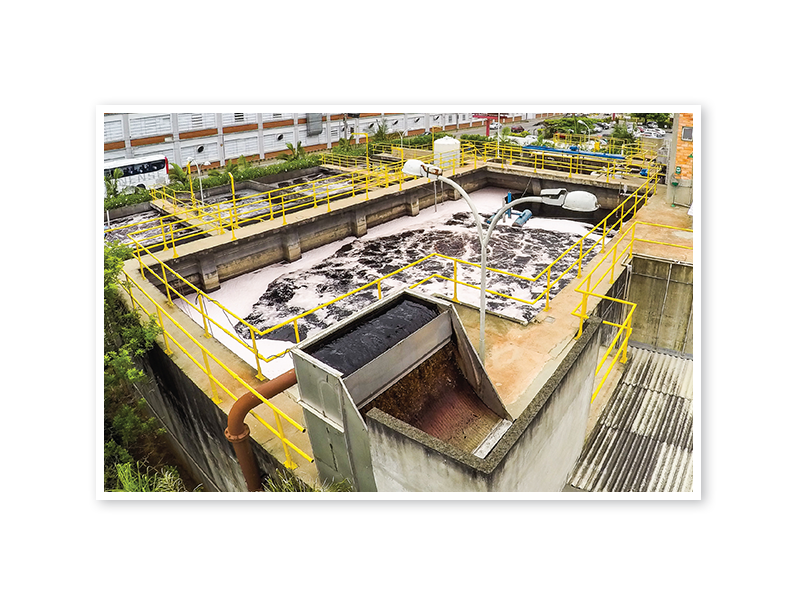 To make this possible, the company searches for new technologies that provide the minimum of pollutants emission during the production process. Schmalz & Círculo – Swiss blood and Brazilian heart. 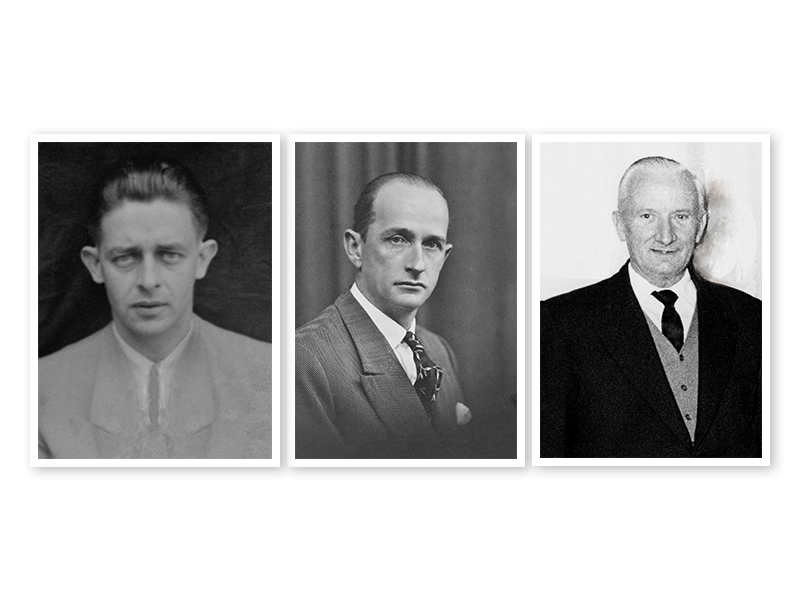 Synonymous with work, overcoming and pioneering. A dignified model of boldness and faith in the future. 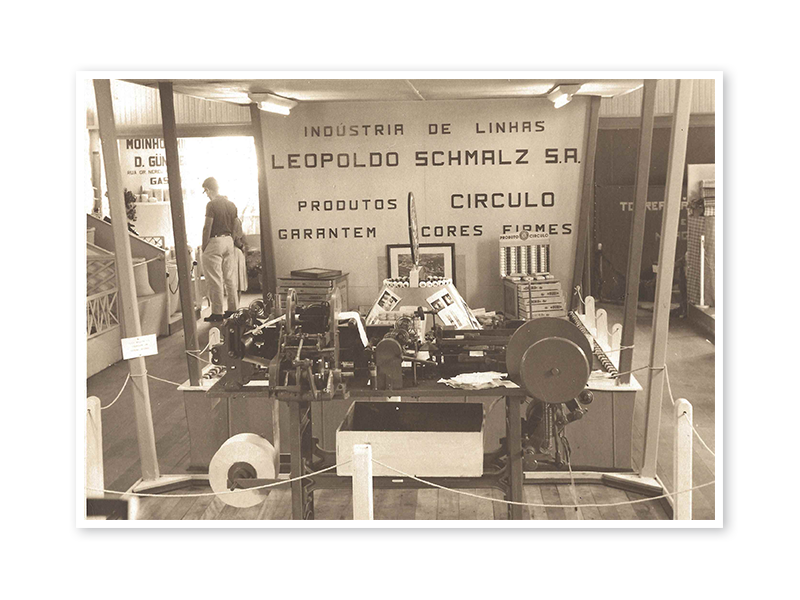 São Paulo – Leopoldo Jorge Theodoro Schmalz, graduated in Textile Mechanics in Germany, is developing machines to build his future yarn factory. 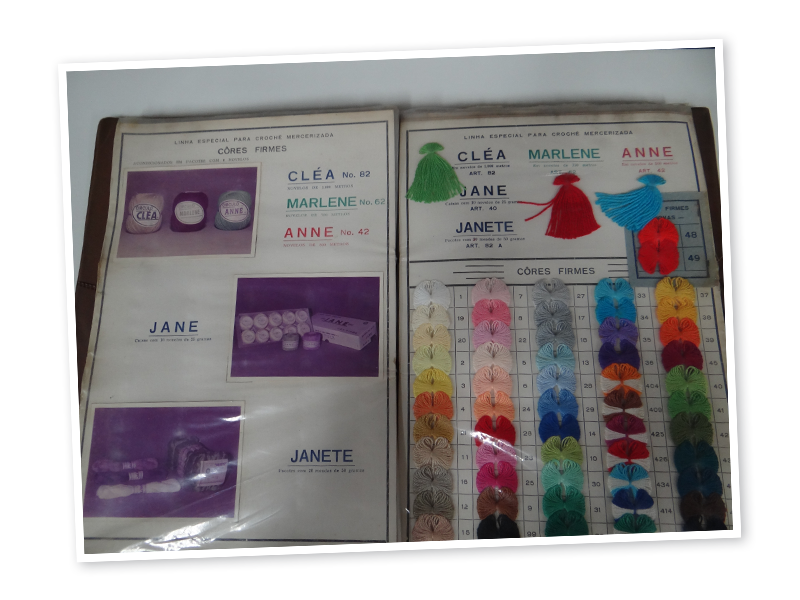 São Paulo – Darning and embroidery thread and ribbons are sold by Leopoldo. 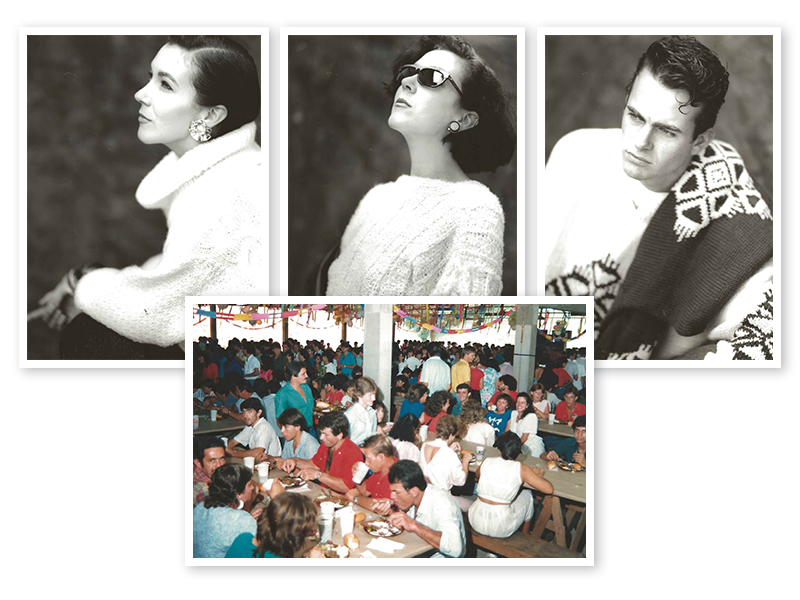 Relocation to Gaspar: The affection between the brothers Leopoldo and Lúcia (the wife of Júlio Schramm, a merchant from Gaspar) brings Círculo to the city. 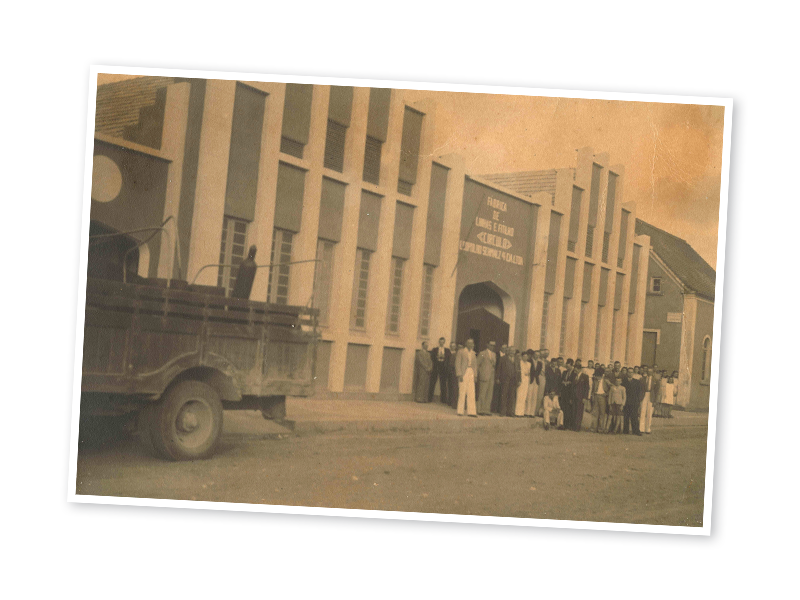 Júlio Schramm (Gaspar) and Willy Schossland (São Francisco do Sul) become partners in the factory of their brother-in-law (Leopoldo J. T. Schmalz). 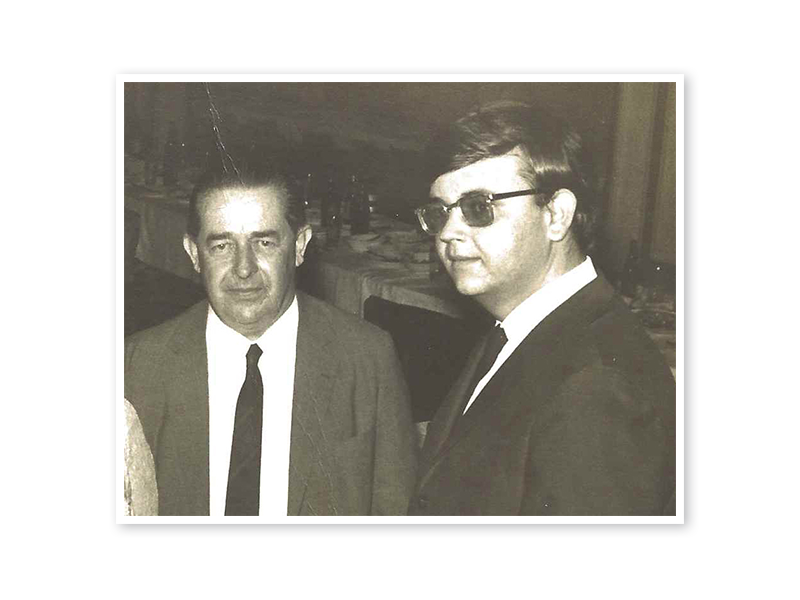 Picture: Leopoldo J. T. Schmalz, Júlio Schramm and Willy Schossland. 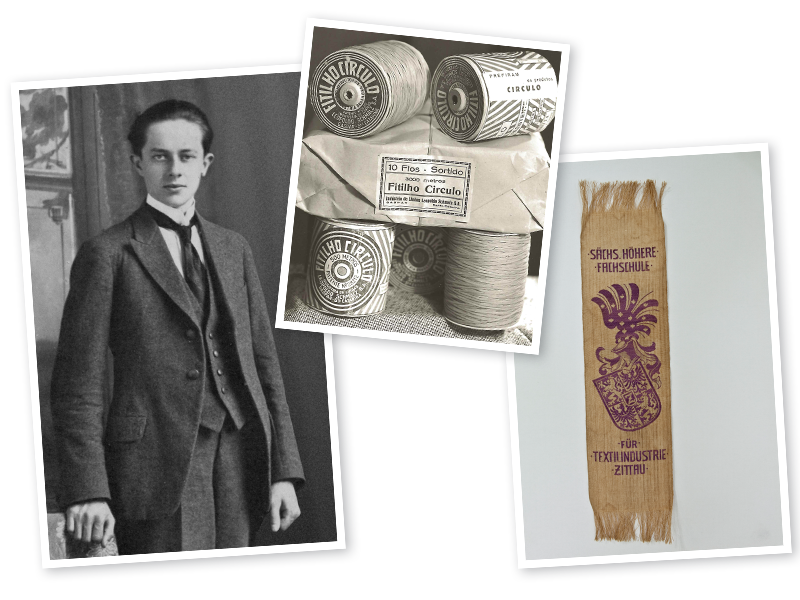 The dream of producing handcraft yarn come true. 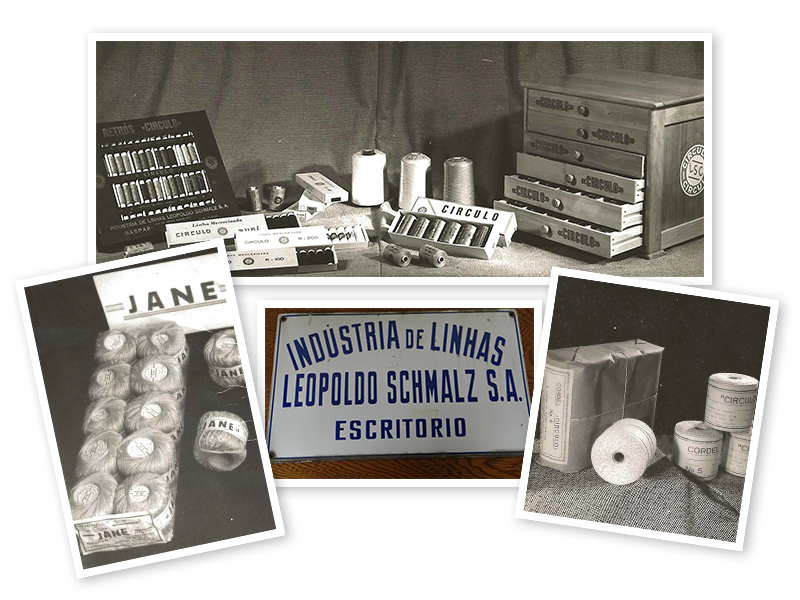 It is born the company “Leopoldo Schmalz & Cia Ltda” in January 23rd, 1938. 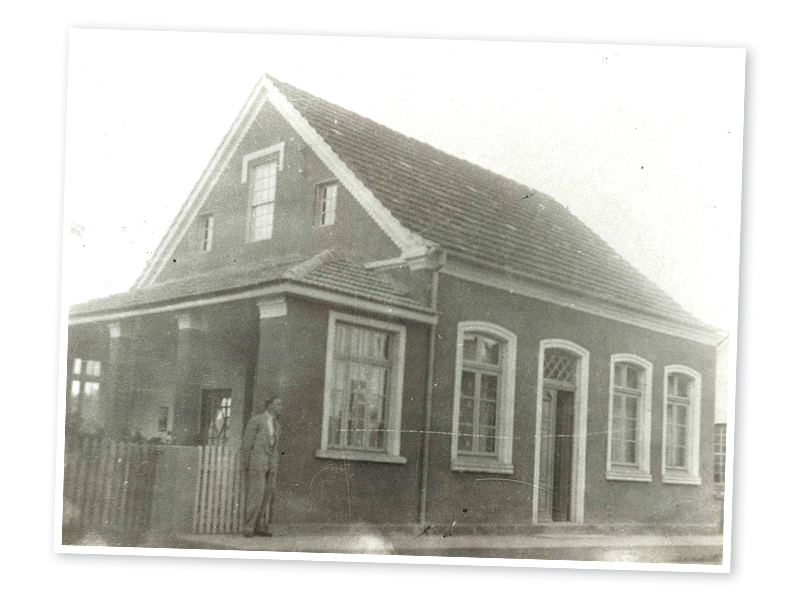 Picture: House provided by Júlio Schramm for the factory. Current 342, Cel. 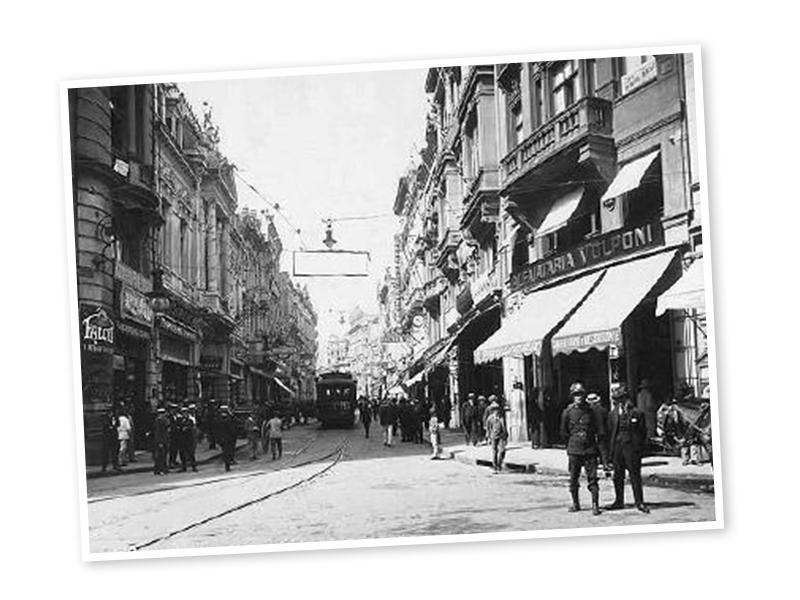 Aristiliano Ramos Street. 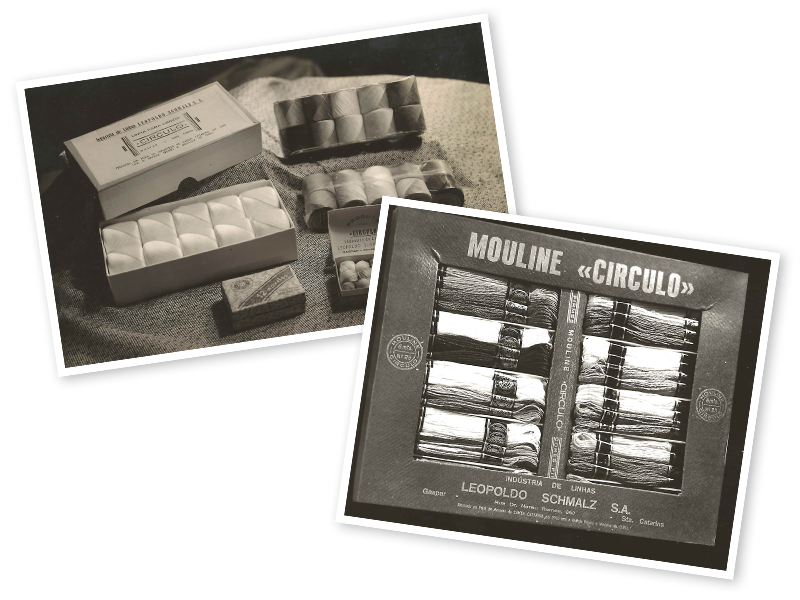 January – With the help of some mechanical equipment, Leopoldo starts building the machines to produce the first products: Mouline, Cerzir and Fitilho, also starting then the first sales of Círculo in Gaspar. 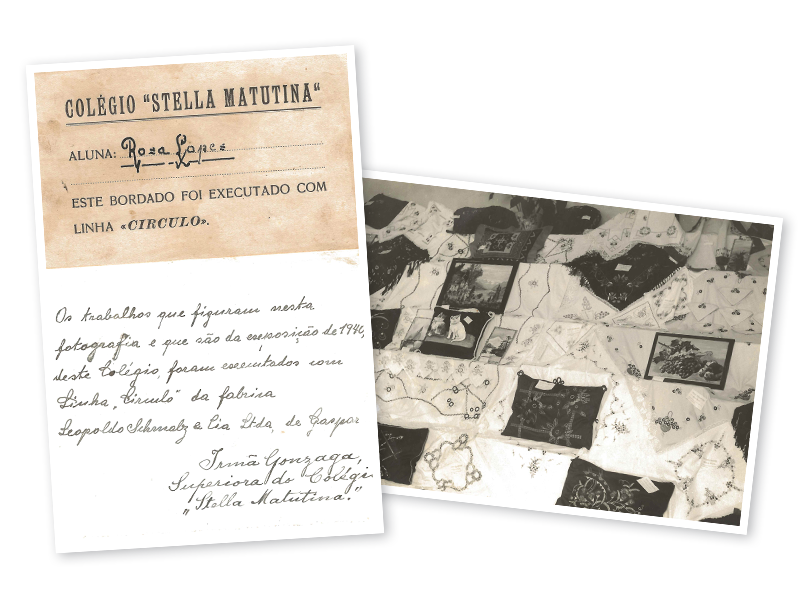 Círculo products are the highlights on handcraft exhibitions from the most renowned schools in Brazil. 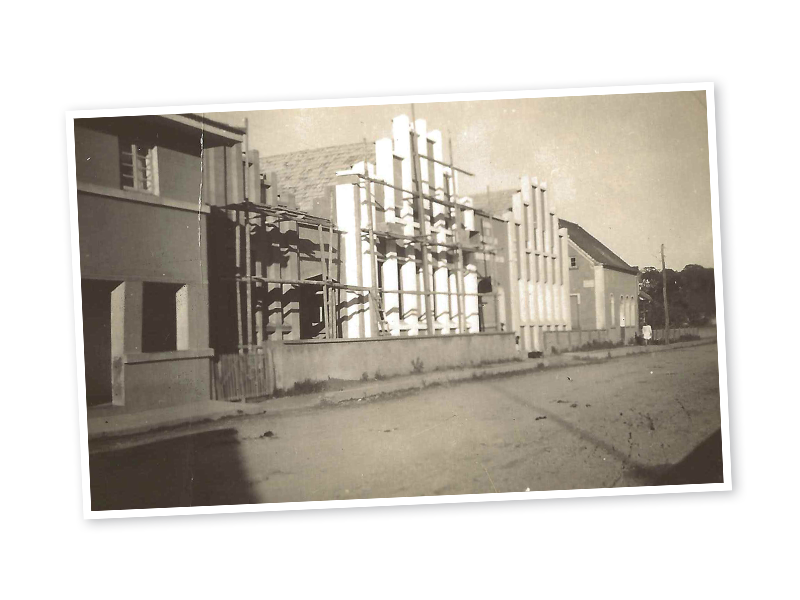 Building of the new facilities at 360, Dr. Nereu Ramos Street. 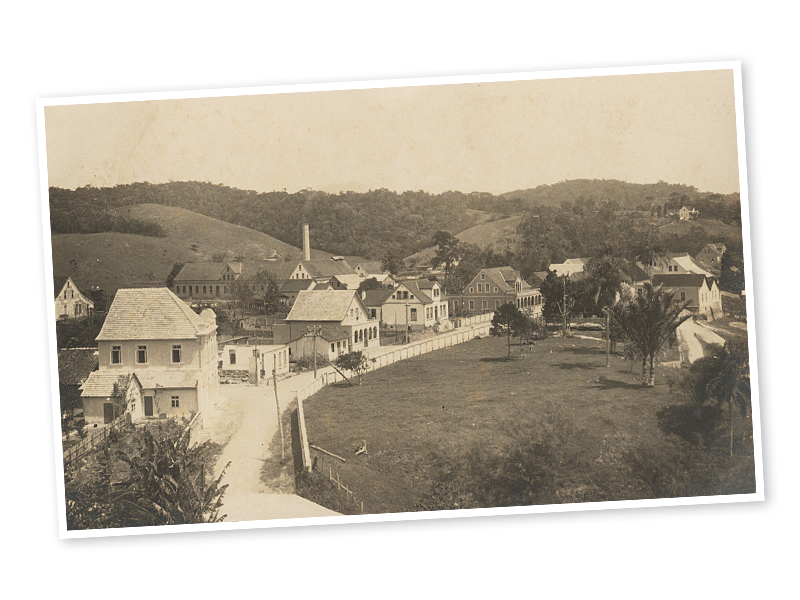 Círculo has its own land and high expectations. 23 more employees are hired by the “new factory”, getting a total of 45 employees in this year. It´s time to double the production area. Second World War Crisis. Prohibition of importing machines and rationing of fuel and electricity. 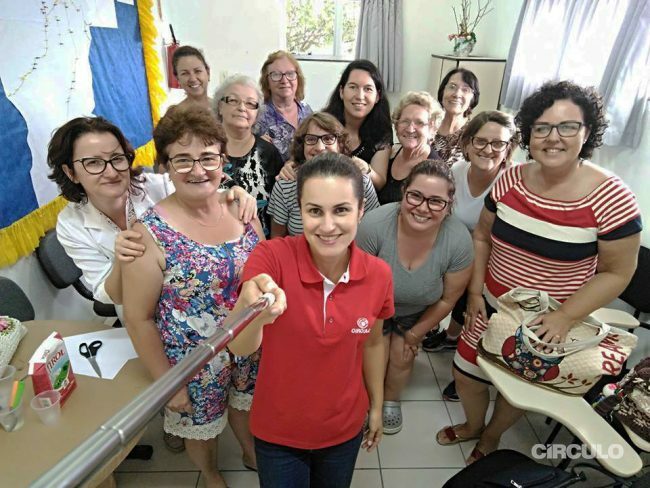 Círculo has a head start with technology powered by steam. All the 68 employees are on the picture. 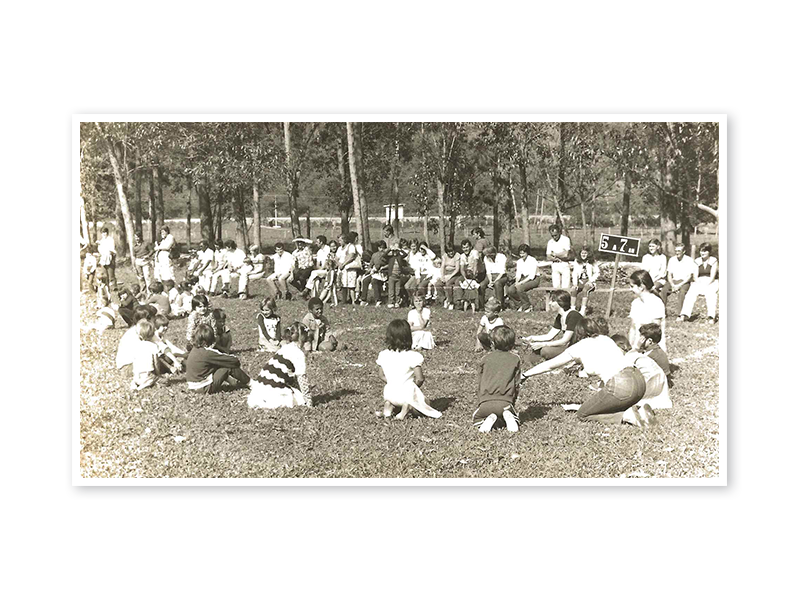 The history of Círculo from 1938 to 1946 deeply marks the society of Gaspar. Bimonthly salaries energizes the trade industry. There is a bigger interest in studies. 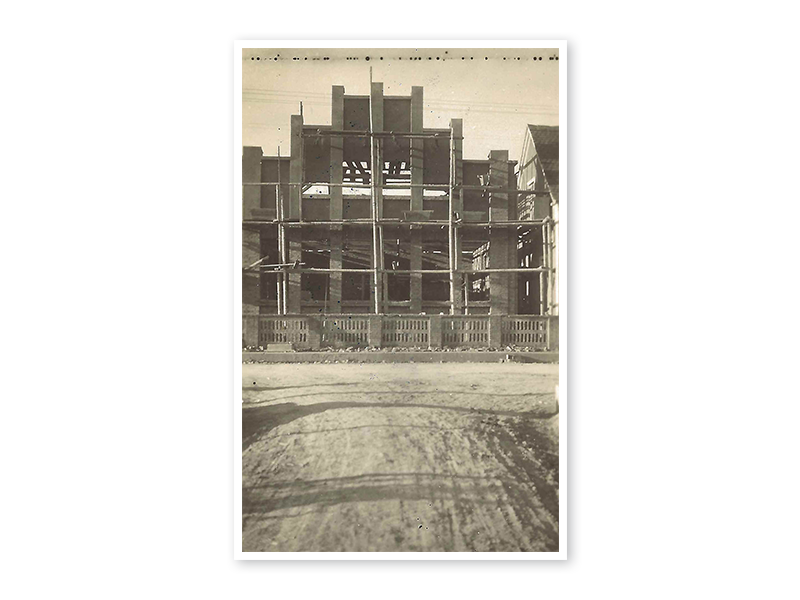 New industries open and the urban landscape has changed with the building of a new main church. 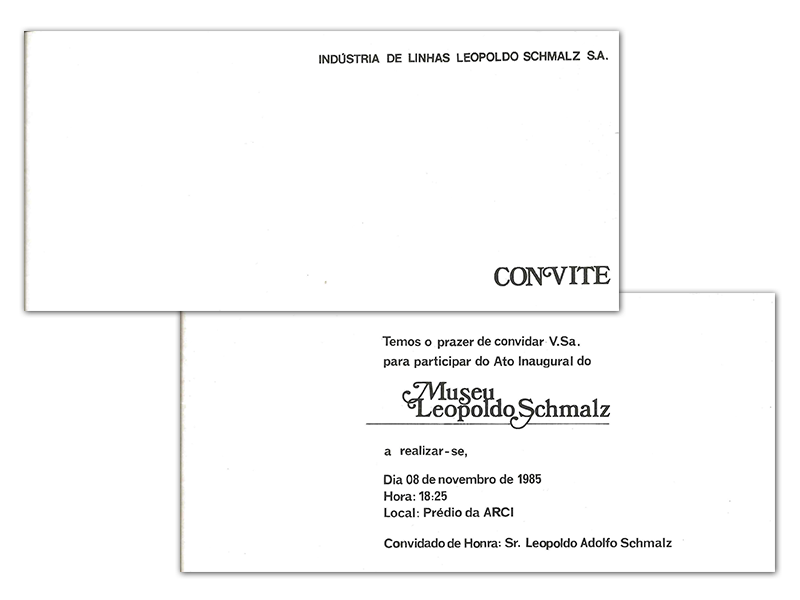 The company “Leopoldo Schmalz & Cia” changes its name to “Indústria de Linhas Leopoldo Schmalz S/A”. 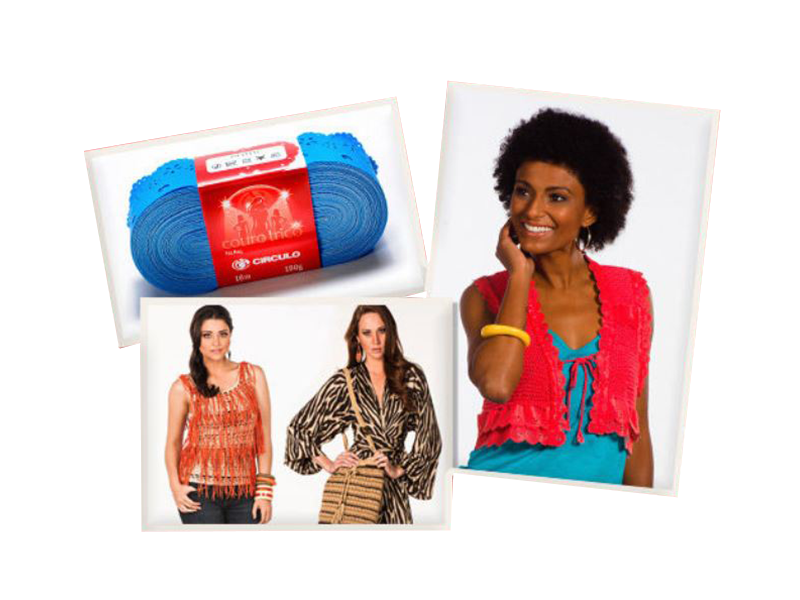 Círculo products are greatly accepted by the Brazilian market. 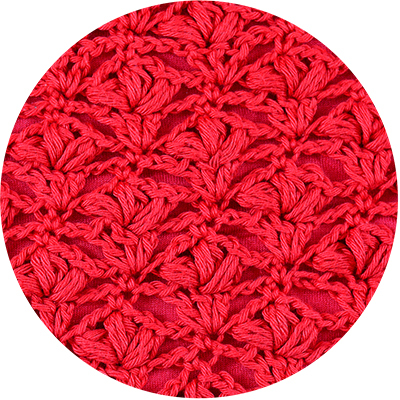 New material and products for knitting, crochet and embroidery are being produced. Cléa and Anne, female German names, make history in the fashion crochet market. Glacê has been launched and becomes a success in record time. Research and assembly of new machines. 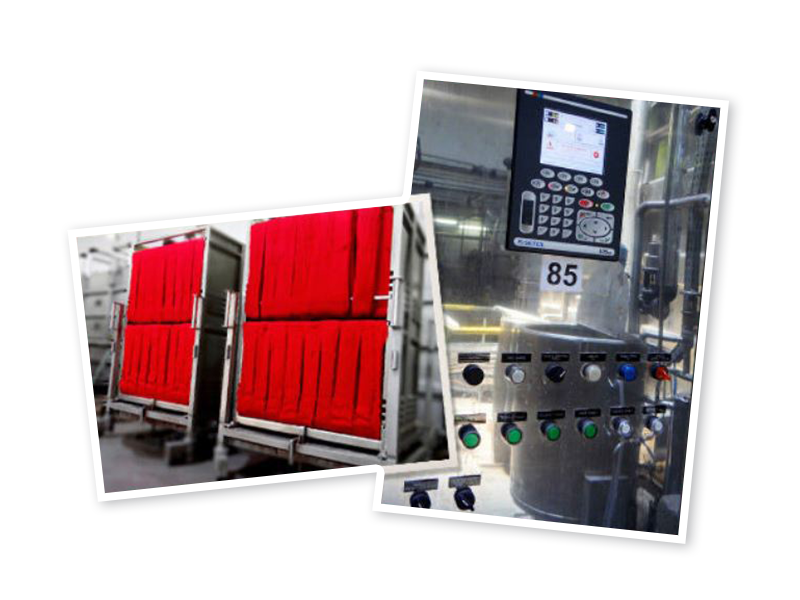 New dyeing equipment with mercerizing process are installed. 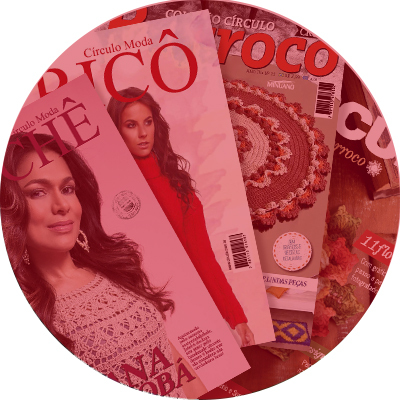 Círculo reaches an enviable position in the market. 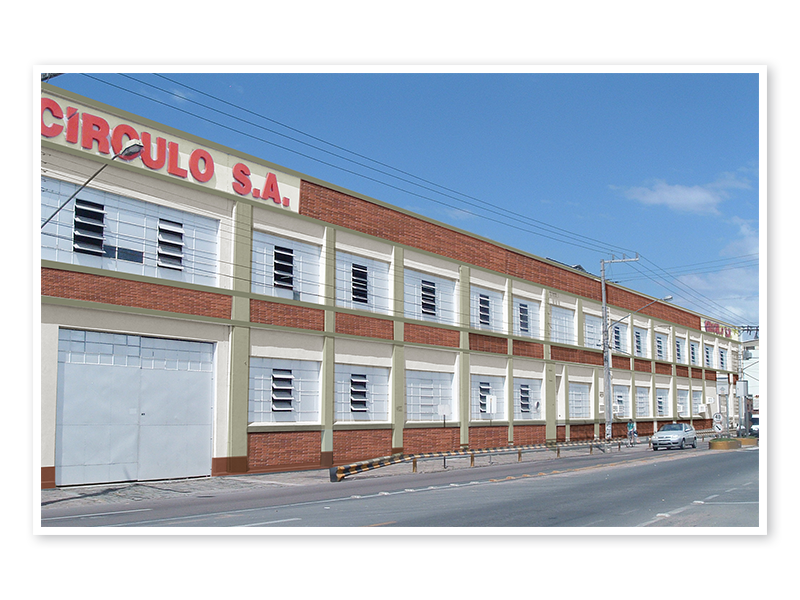 In addition to the fact that the company has its own resources, Círculo also serves the regional industrial park, through services made in the factory. 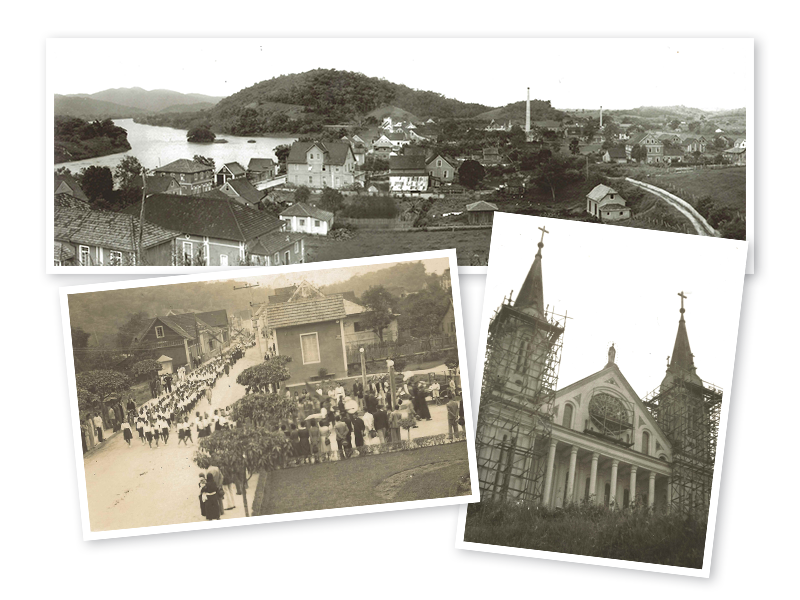 Centenary of the parish church of Gaspar. 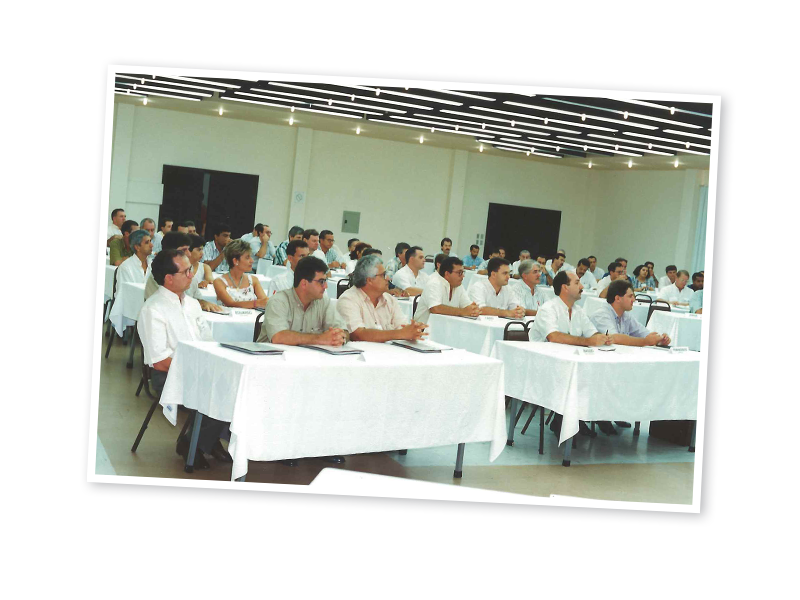 Círculo is the highlight on an agribusiness exhibition. 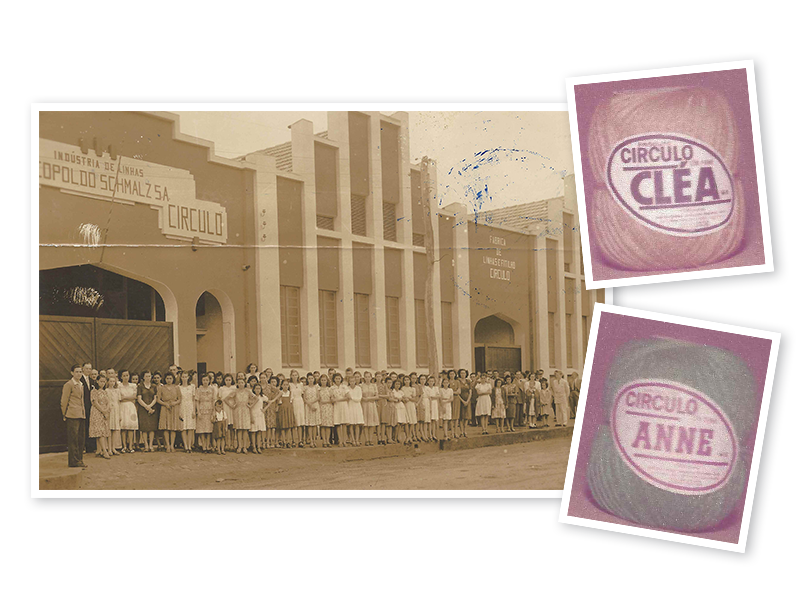 Círculo gives the biggest step to self-sufficiency: the factory starts to produce its own yarn made from cotton lint. The purchase of a new machine for manufacturing of plastic materials. 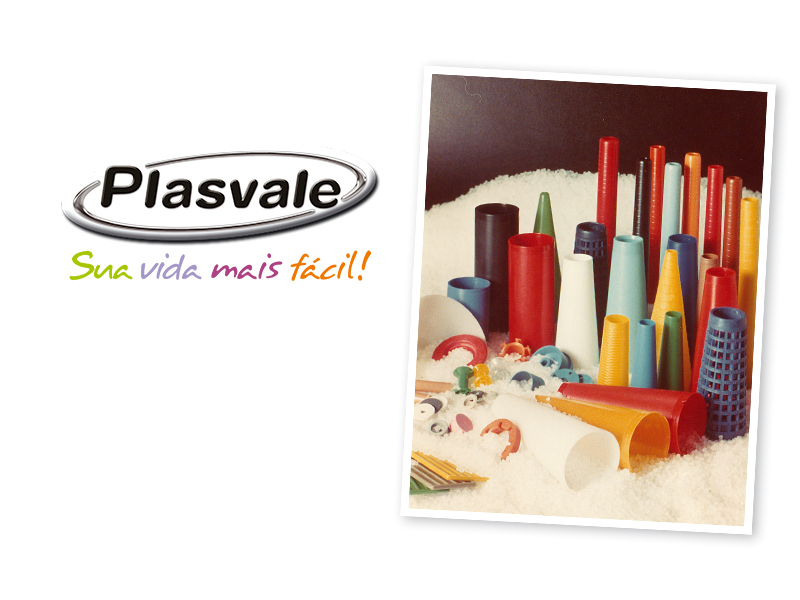 That fact is the inception of Plasvale, founded in 1977. Círculo is now 30 years old. 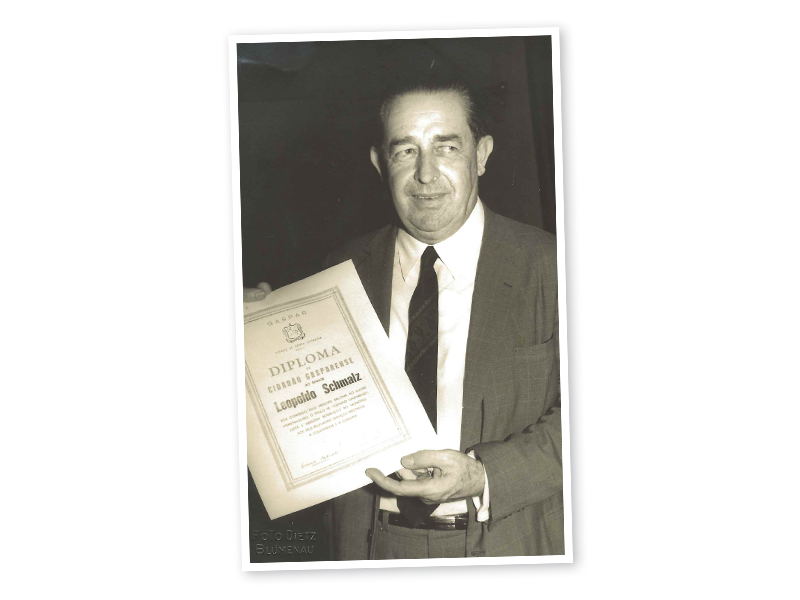 In December 23rd, Leopoldo Jorge Theodoro Schmalz (founder of Círculo) receives from the community the title of Honorary Citizen of Gaspar (Law nº382). Amplification for new equipment and warehouse. 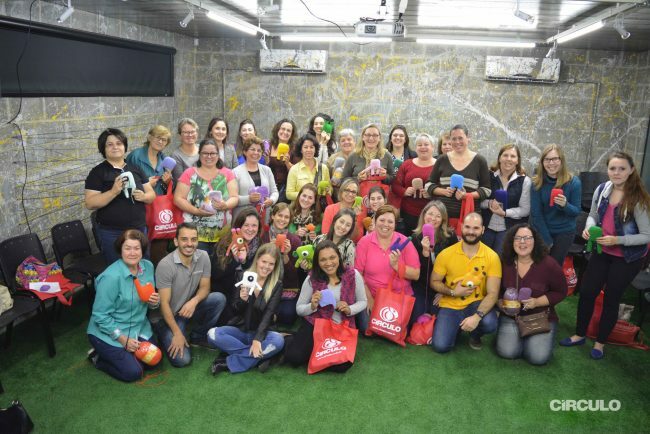 Círculo products, huge success all over Brazil, naturally reach the Latin America market. 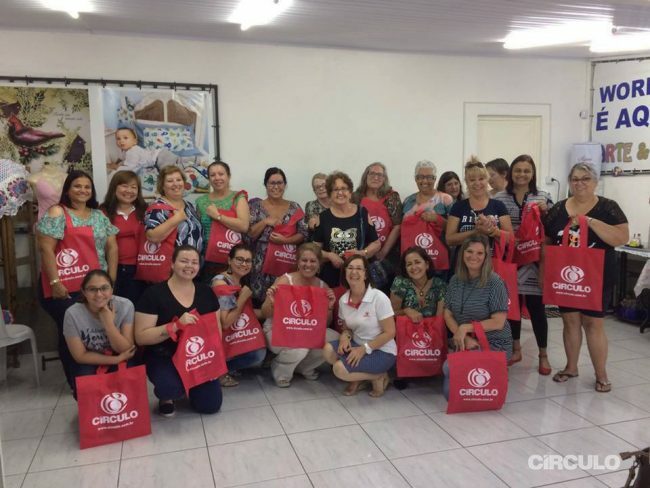 Paraguayan and Bolivian people come to Brazil to purchase Círculo´s “hilo”, that was even the most used in those countries. New blood happens to influence Círculo´s shares. 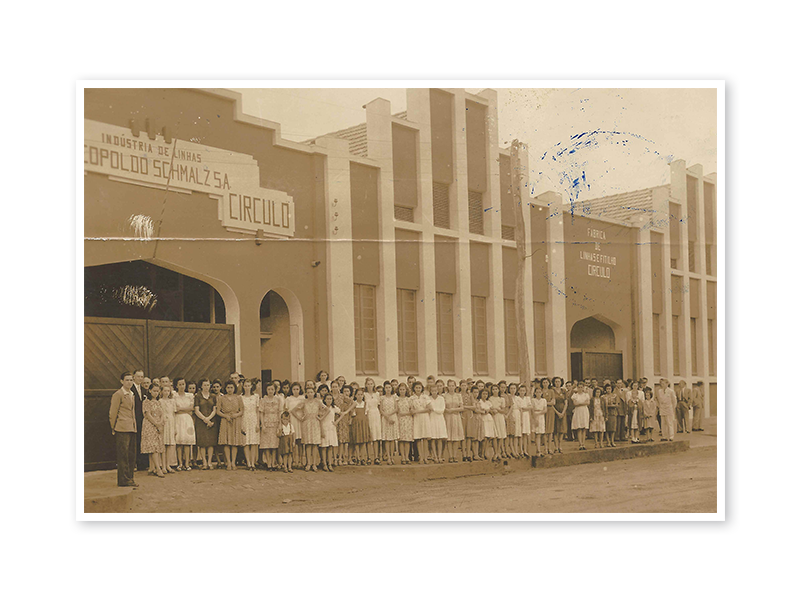 Leopoldo Adolfo, with his father, monitors the daily routine of the factory, becoming president of the company in 1977. A new organizational system is introduced. 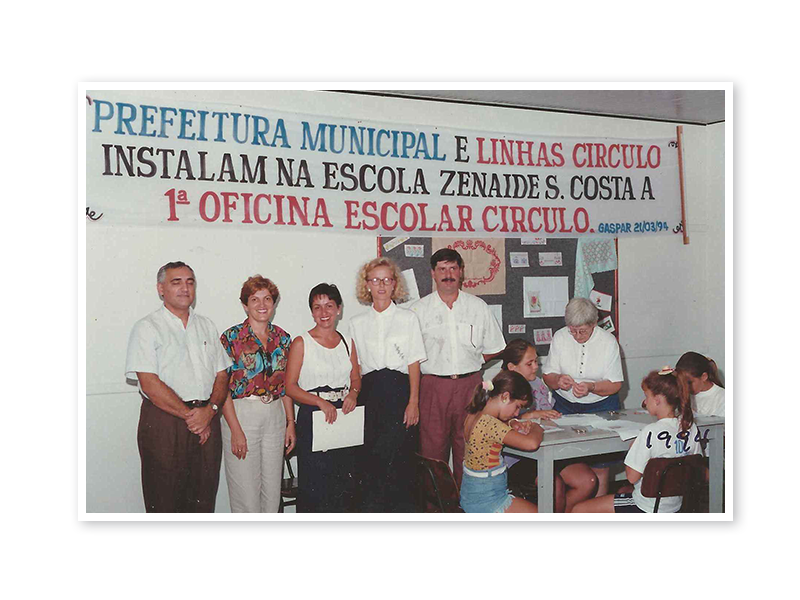 The “Associação Recreativa Círculo” (ARCI) energizes sports and leisure in Gaspar. 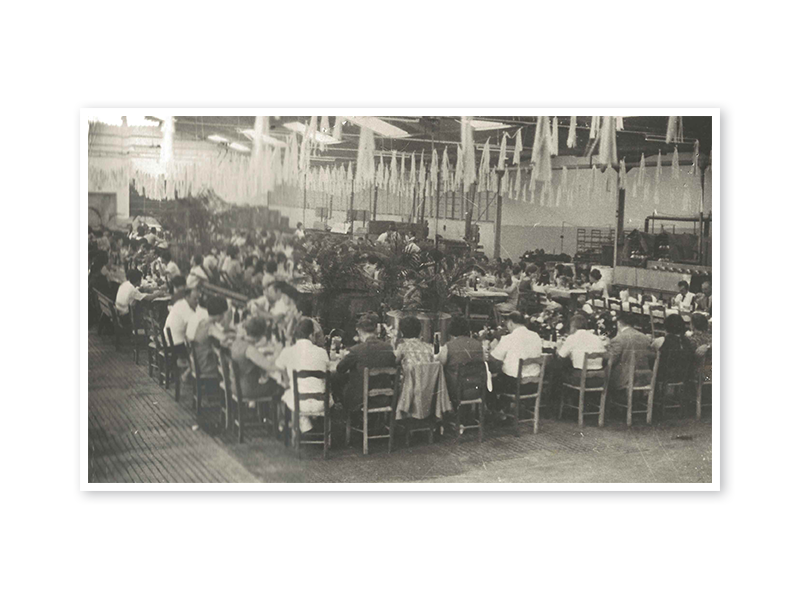 Modernization of the lab and dyeing department. The company has now 1.600 employees. Handcraft courses in stores and TV commercials trigger a big amount of sales. 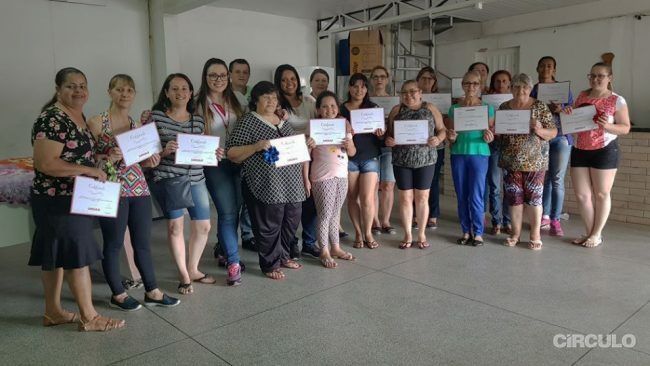 The “Semana Interna de Proteção de Acidentes de Trabalho – Sipat”. Graduation by CIPA. 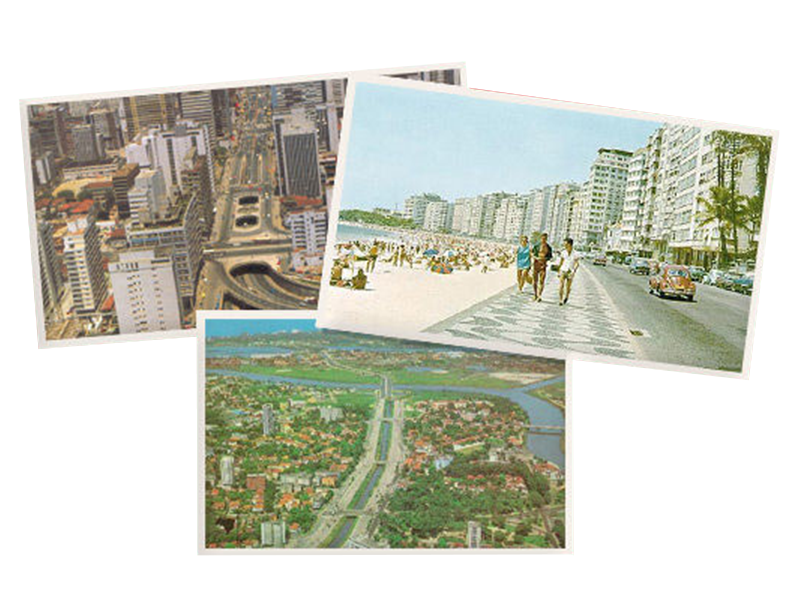 Expansion of the local market, with new regional offices in São Paulo, Rio de Janeiro and Recife. 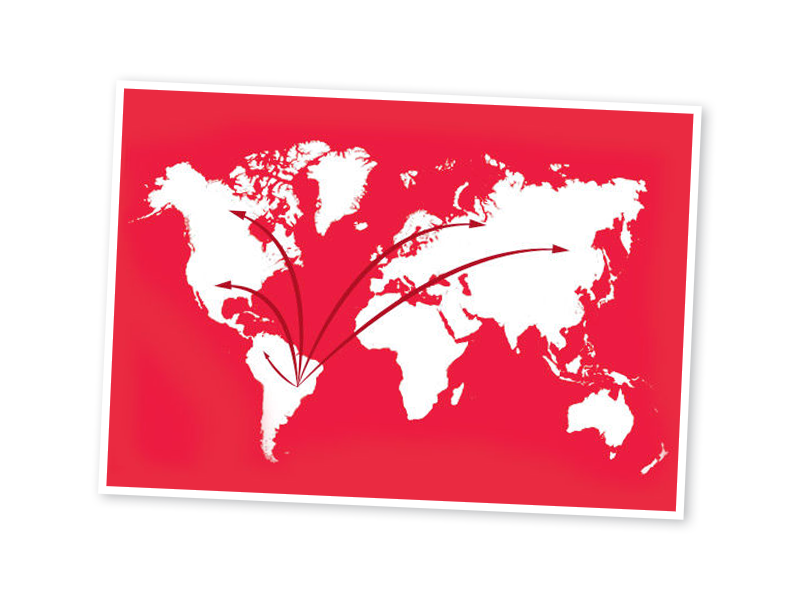 The foreign trade department is created, facilitating the exportation to Europe, Asia, North and South America. 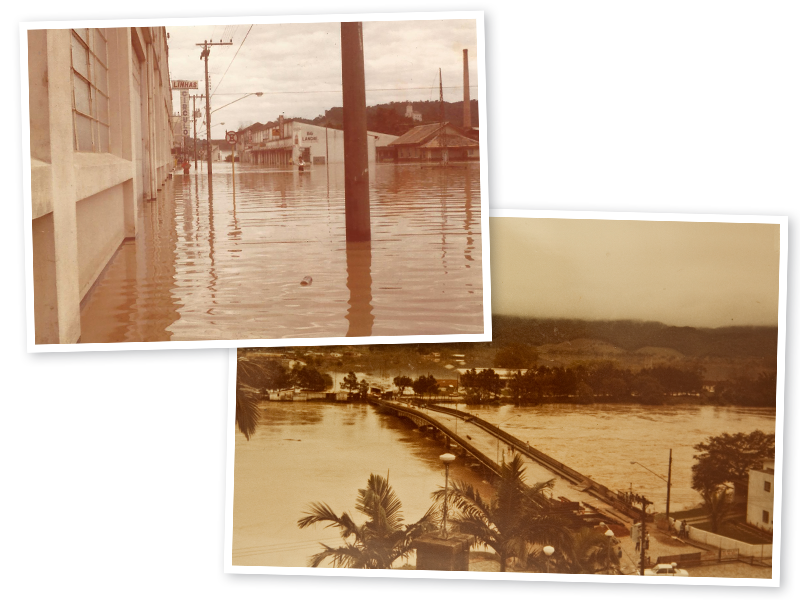 The floods of Itajaí Açu river catastrophically hits Círculo´s facilities. Government measures, of financial and tax order, cause a severe financial crisis to be overcome. Administrative and financial restructuring. A team effort has to be made. Círculo settles the arrangement before the expected legal time. 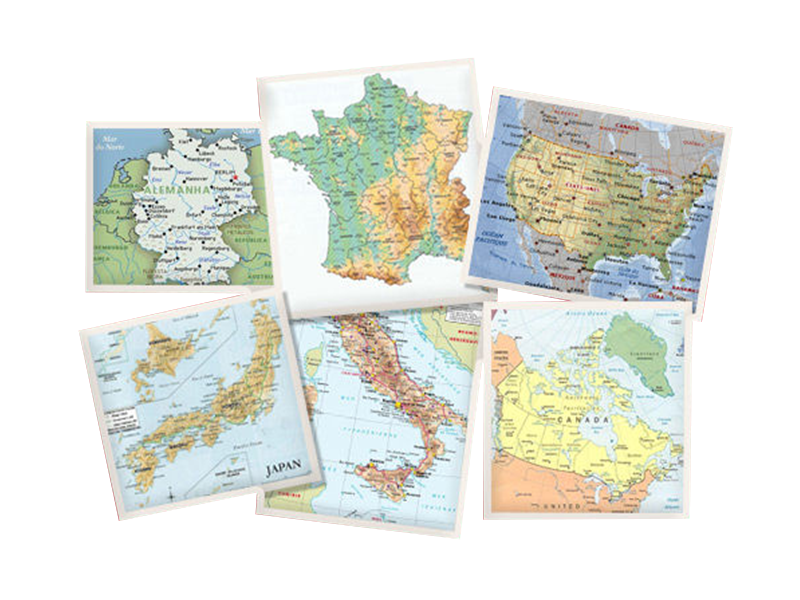 Círculo exports 1 million kilos to Belgium, Italy, Germany, Japan, United States, Canada and more. 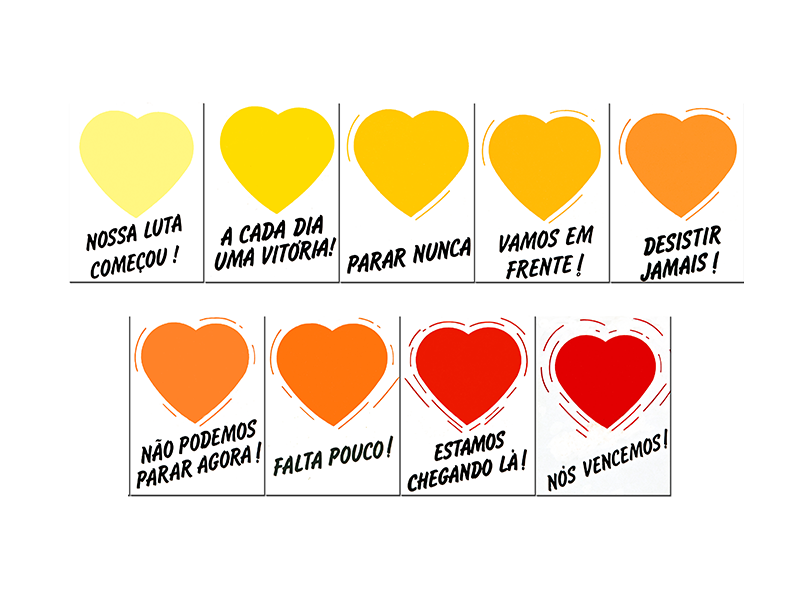 “Linhas Círculo” – half-century coloring emotions. Launch of the knitting yarns Mollet, Exuberance and Melange in a wonderful event called Mil Tramas. 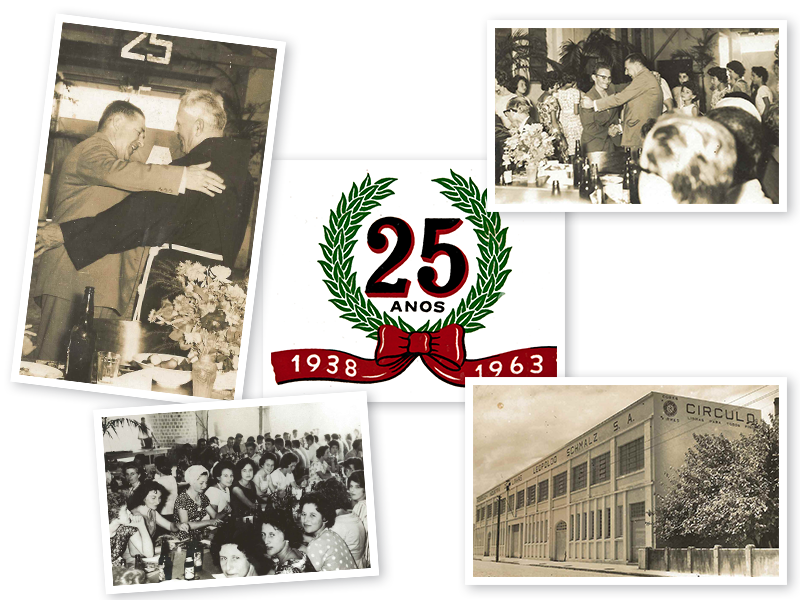 The board organizes a special event to thank the employees: “50 years of effort brought us here. The perseverance will take us beyond”. The Cléa Trophy is given in the National Sales Contest. An effluent treatment station is implanted. 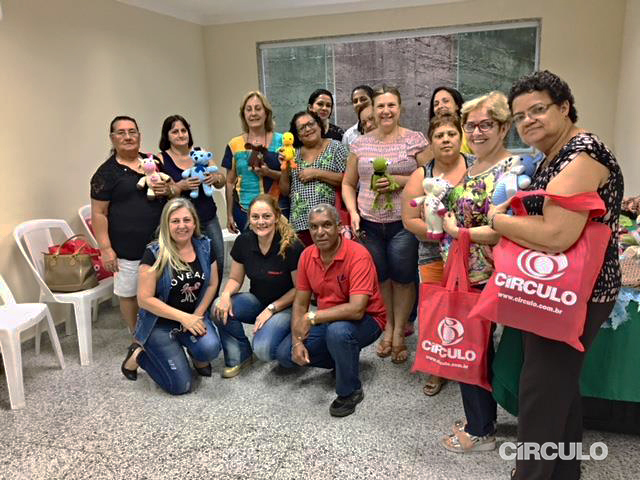 Schools in Santa Catarina start to host social projects offered by Círculo, which include free knitting and crochet courses to the students of municipal schools. 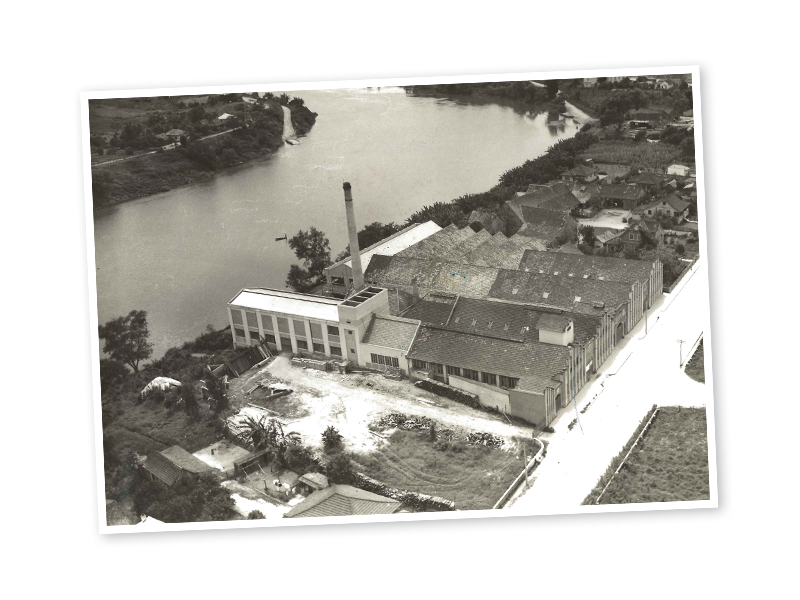 A needles factory is born in Círculo. 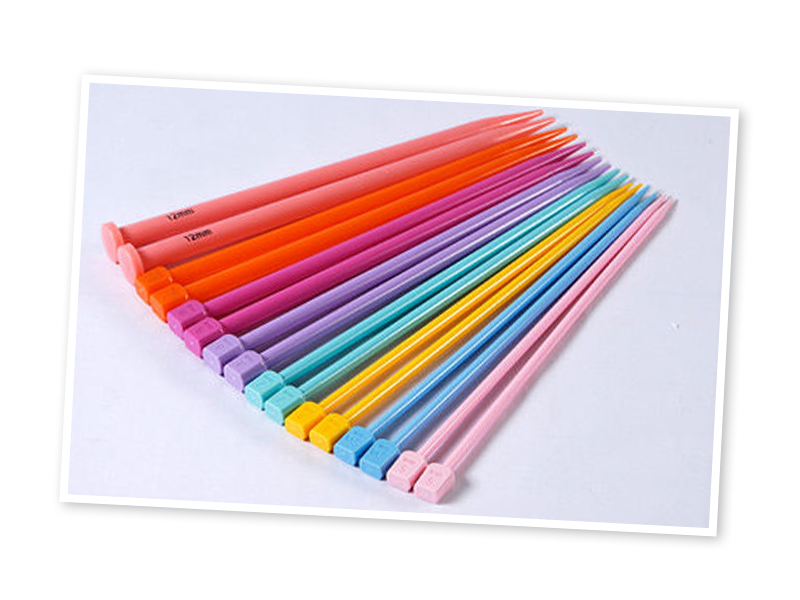 From that moment, the company starts to produce its own knitting and crochet needles. Círculo renews and expands in 50% its sales force. 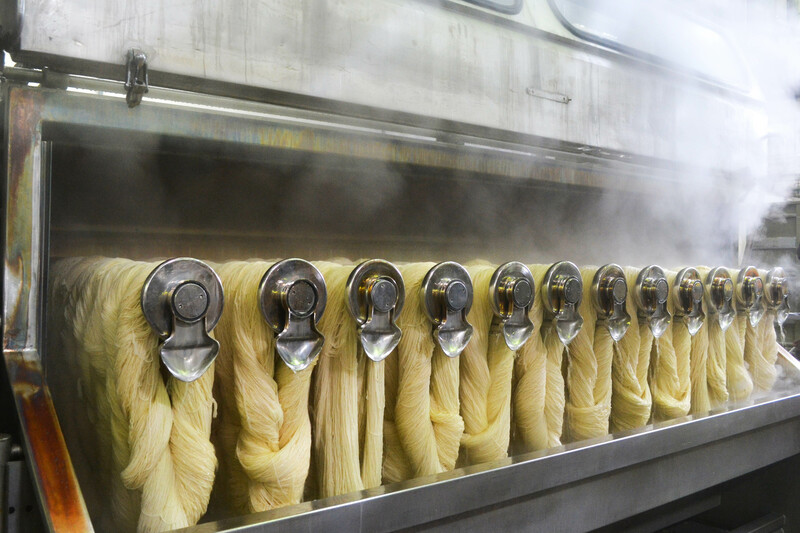 The resale of polypropylene yarn starts in this year. 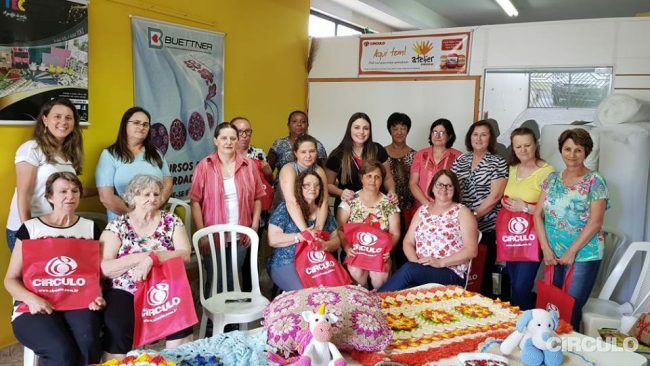 The contest “Crocheteira Mais Rápida do Brasil" rewarded the winner with a 0km vehicle. 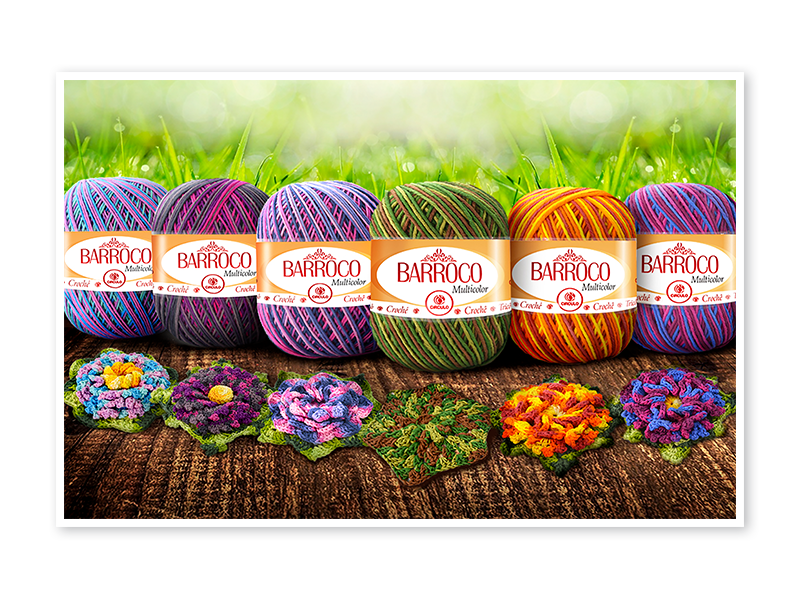 Círculo innovates in the tapestry market by launching an exclusive multicolor yarn: Barroco. 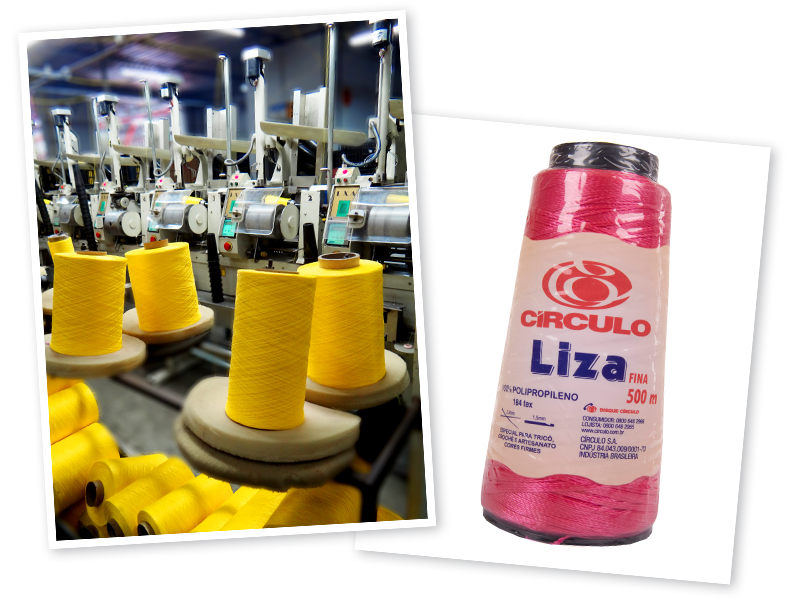 Círculo starts producing its own polypropylene yarns. 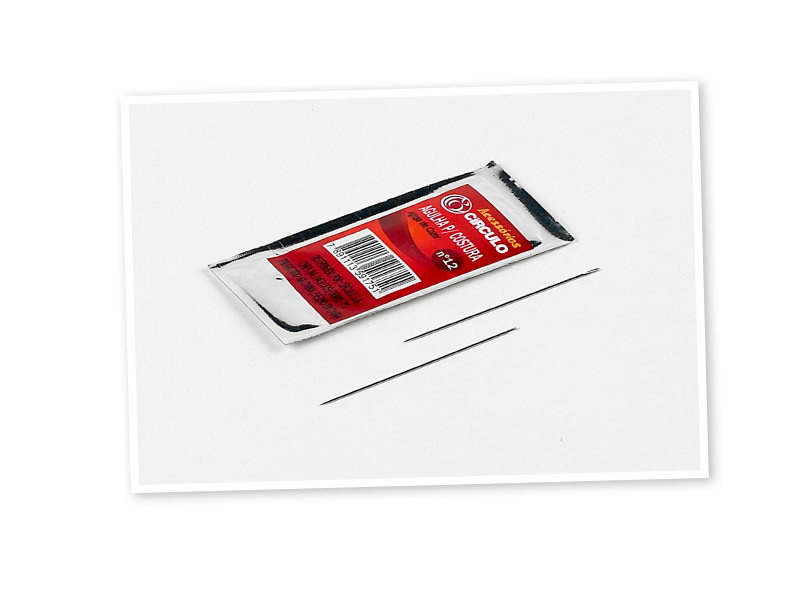 Needles, sewing and towels accessories increase the variety of products, starting then the Accessories Sector. 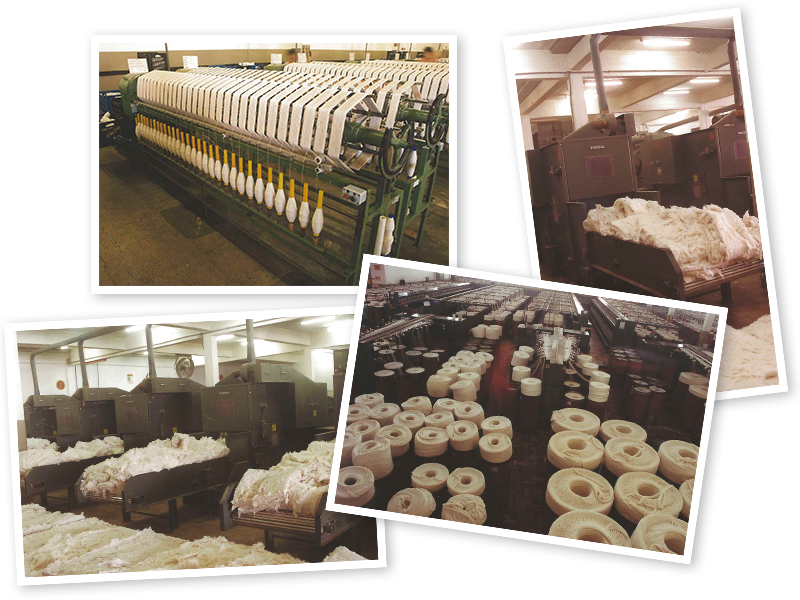 Respecting the environment, the company started the Dye Clean process, reusing the coloring baths for some yarns. 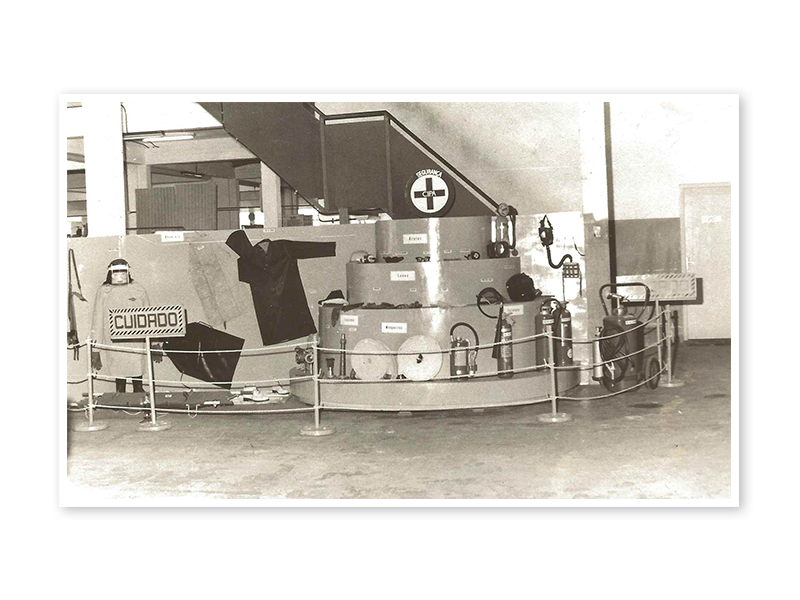 This process helps Círculo to cause less impact on the environment. 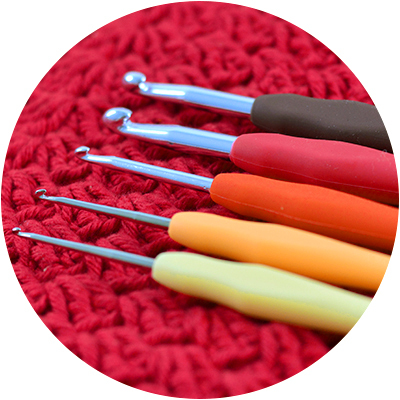 The first colors to have the process implanted were the red ones, 6 in total. Círculo is one of the pioneers in that field. 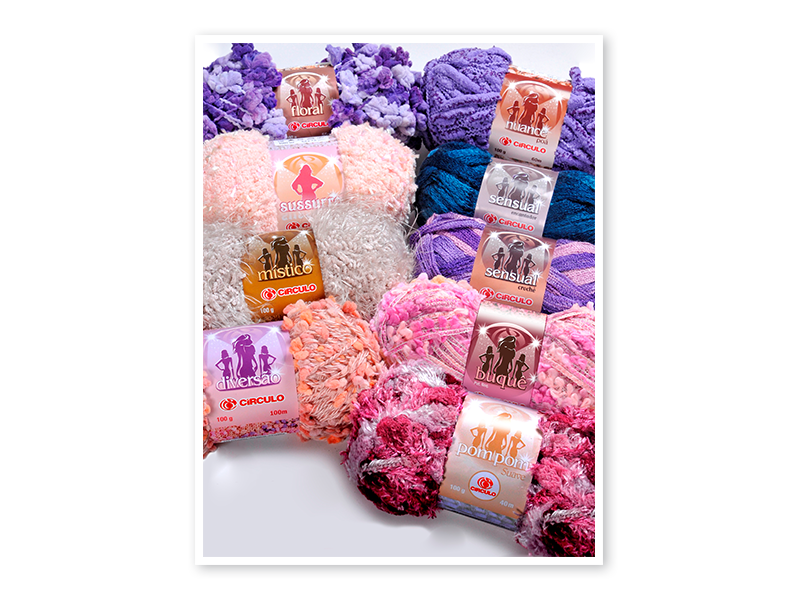 Círculo becomes the leading company in the winter yarn market. The partnership with renowned fashion designers leads Círculo to the catwalks of the most important fashion weeks of the country. 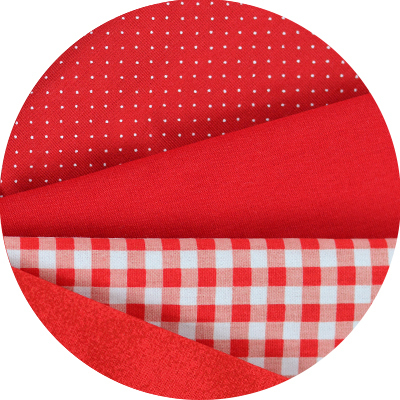 A collection of fabric for handcraft is launched, increasing even more the diversity of Círculo products. 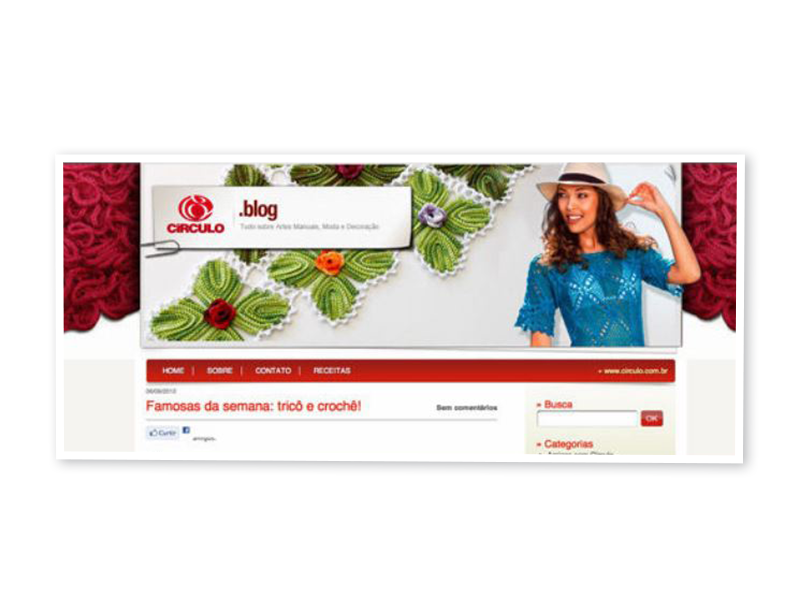 Círculo empowers its digital presence by creating a blog and social media channels. 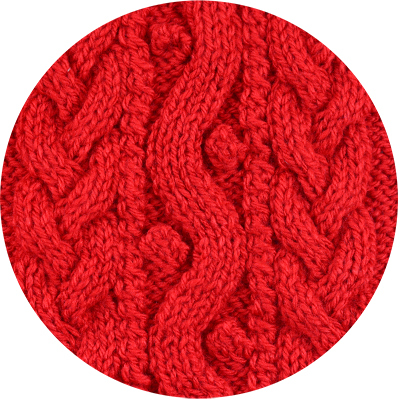 The company reinvents the knitting by creating lace and fabric to knit. 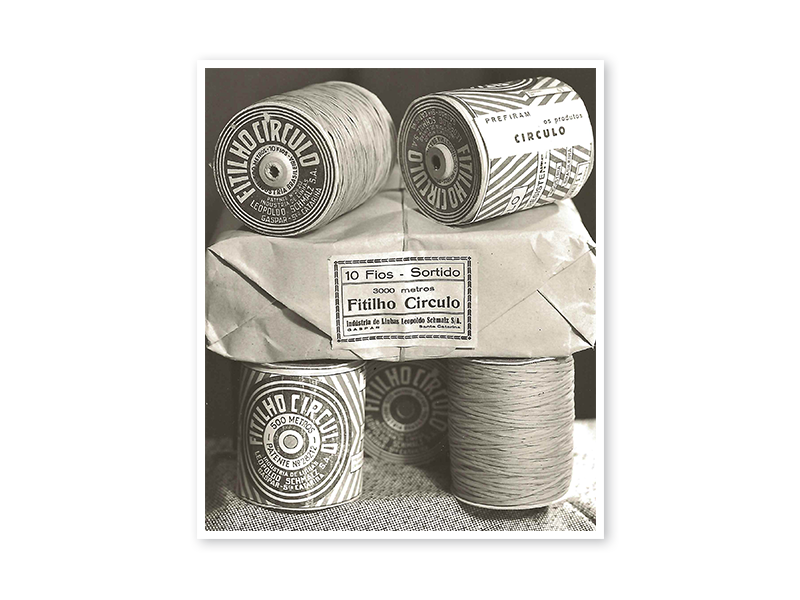 Renda Tricô and Tecido Tricô are exclusive products, internationally patented by Círculo. 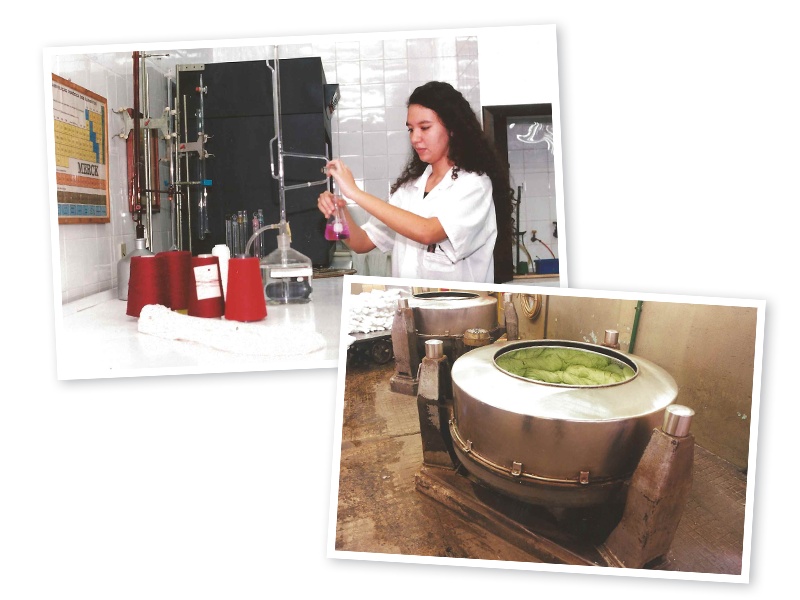 Four years after the Dye Clean process implementation, Círculo has now 33 colors that have reuse of coloring baths. 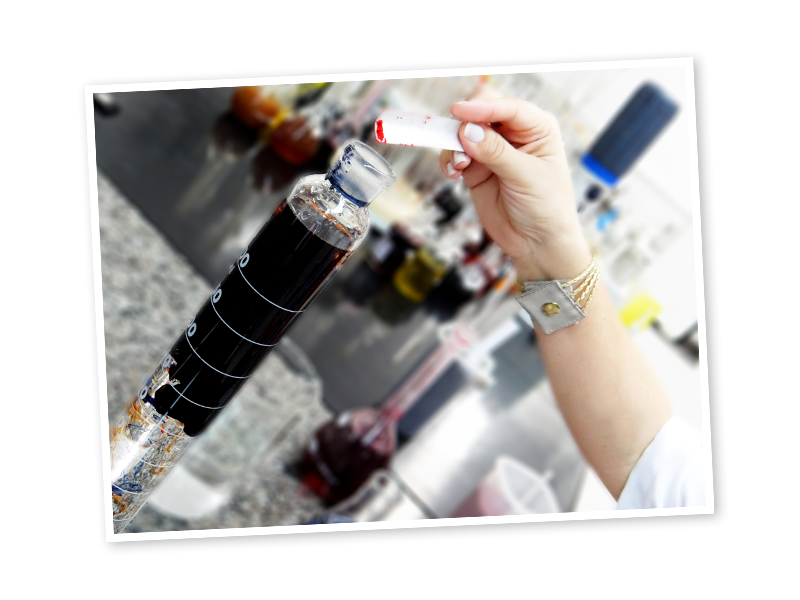 This process reduces the disposal of organic and inorganic products. A new dyeing department is installed. 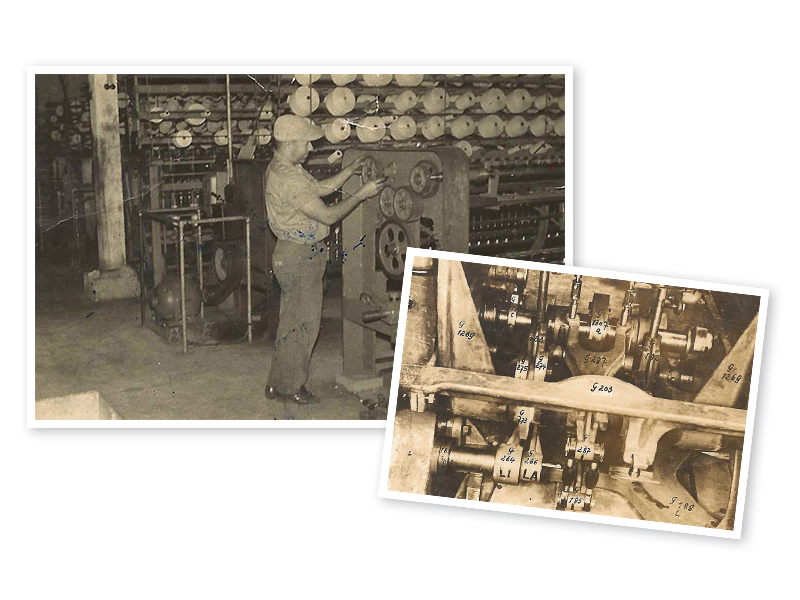 More technology in the yarn coloring process. Once more Círculo innovates by launching Couro Tricô, a synthetic leather strap that can be used for knitting. 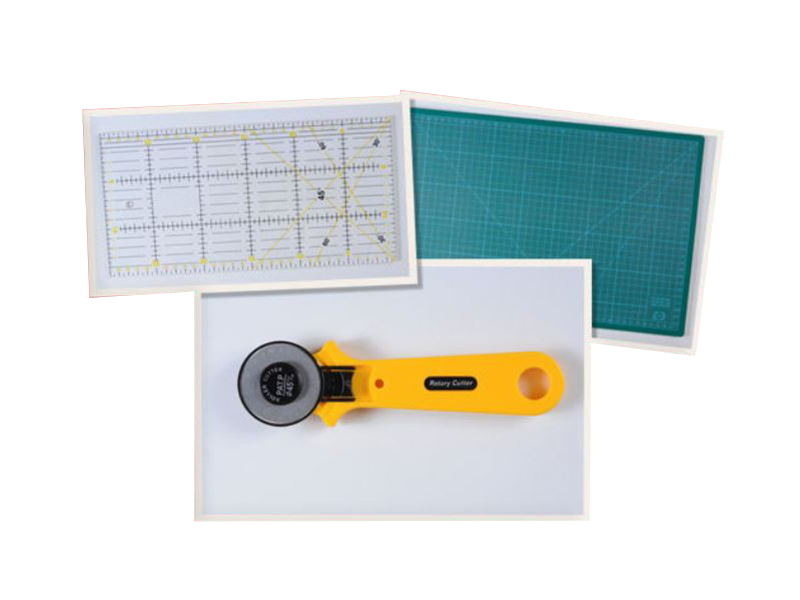 Patchwork accessories such as cutting boards, rulers and cutters are now part of Círculo products. 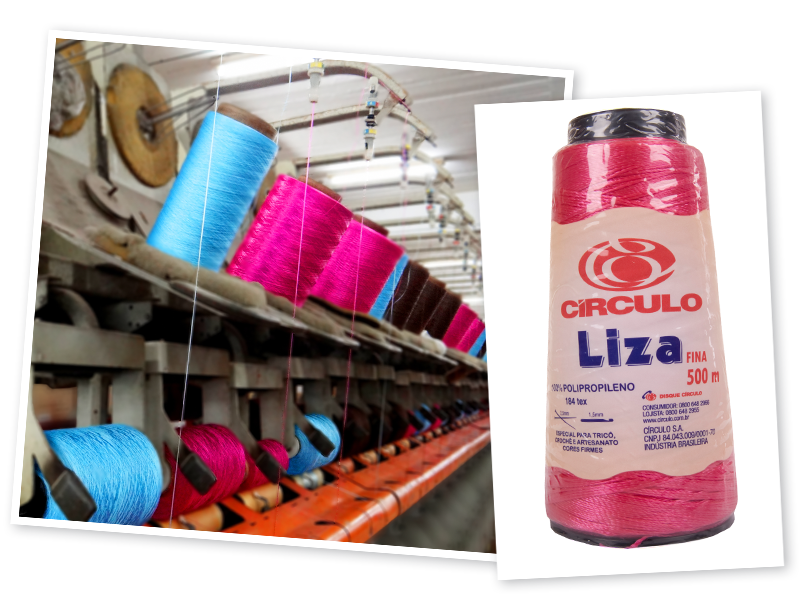 The company has 35 thousand m², being the biggest industrial park of yarns for handcraft in South America and having 1.200 employees.